Funny how despite being a well travelled and adventurous eater and cook, some of the simplest things are still my favourite. When I was younger I insisted on eating like the grown ups, and when a cheese board came out it would always have some cheese triangles just for me. Well fast forward twenty-odd years and not much has changed: I still enjoy a cheese triangle on a cheese board! It’s definitely a favourite for me on those evenings when you fancy a ‘picky tea’. 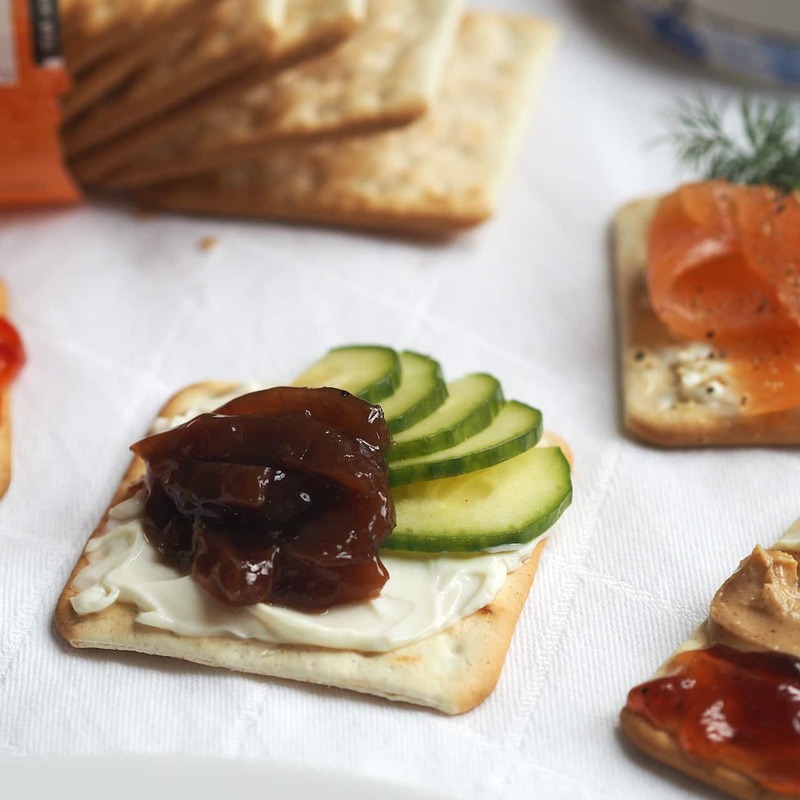 So I’ve teamed up with my long term pals Laughing Cow to share with you some of my favourite snacking combinations for the humble cheese triangle on a cream cracker. 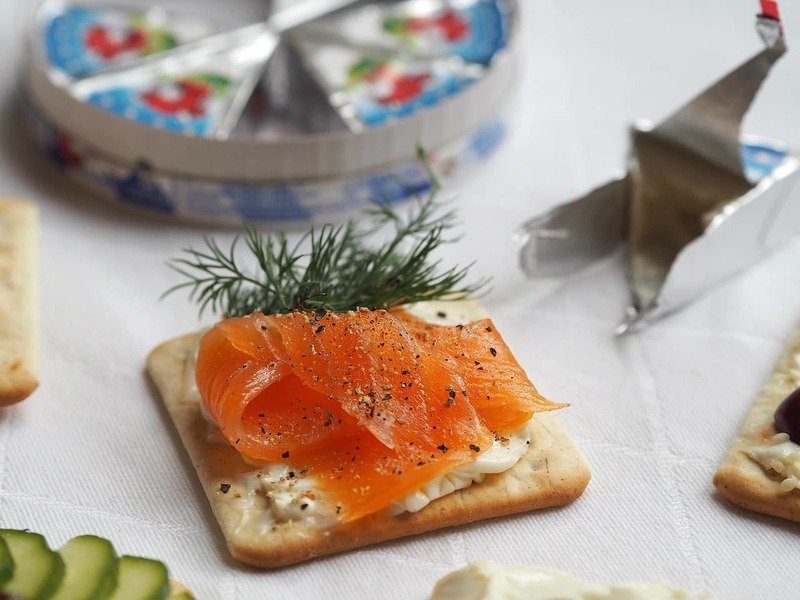 A posh one and a classic: smoked salmon and cheese are two of my favourite foods in the entire world, so it’s an obvious pairing. I like to finish it off with a generous sprig of fresh dill ( I love dill!) and lots of cracked black pepper. 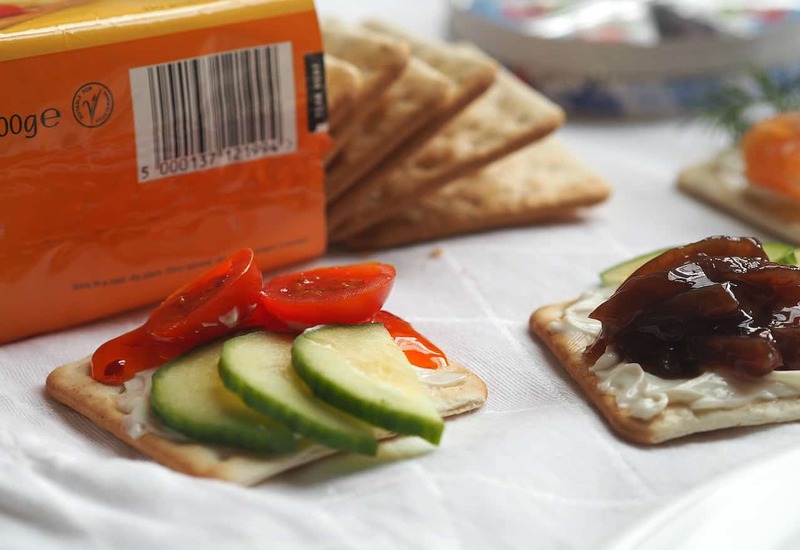 Creamy cheese with a good dollop of caramelised onion chutney and a crunch of cucumber… perfect for picnics! (Not so perfect for first dates). Grapes are not just for cheddar and brie. This combo is insanely quick to thrown together and I find it really refreshing. I like to finish it off with a sprinkle of sesame seeds for a nutty twang. Messy but a must. Smooth cheese Vs tangy sweet chilli – so good! Add a bit more sweetness with some juicy cherry tomatoes. So these are my favourites, what are yours? 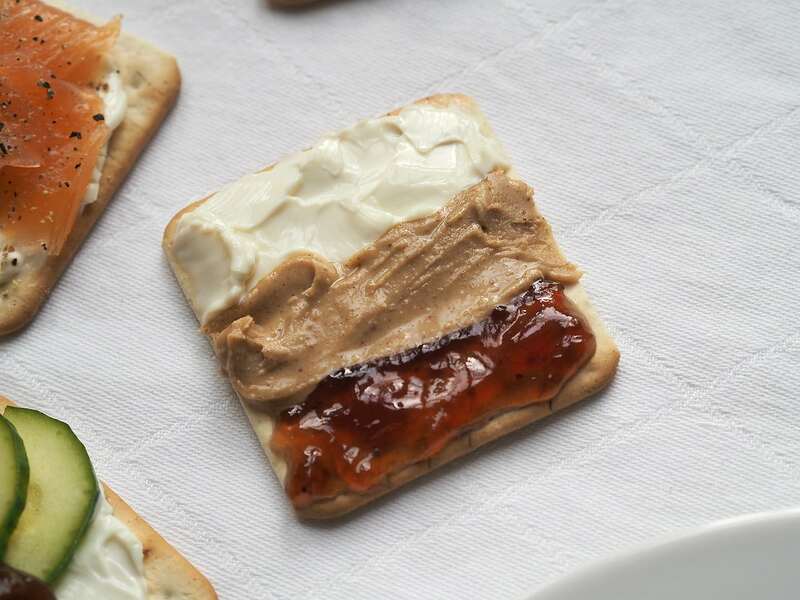 The Laughing Cow have created a (hilarious) snack inspiration book: the Cracker Sutra! 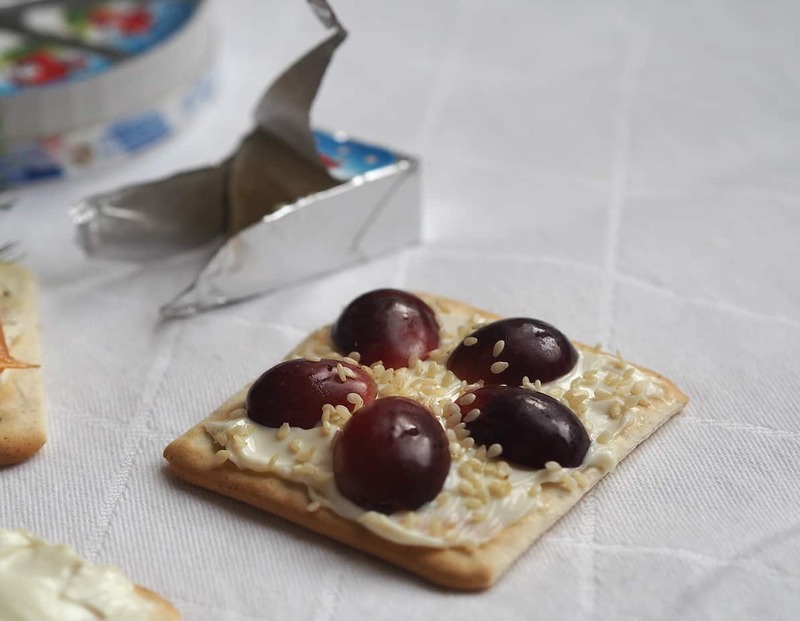 Which has loads more ideas on how to top your crackers.